This presents a modern Irish index to the RIA’s ‘Dictionary of the Irish Language’. It was compiled by the Irish lexicographer and scholar Tomás de Bhaldraithe, author of the milestone ‘English-Irish Dictionary’ published in 1959. This book is suitable for learners of old Irish and for those engaged in the historical study of modern Irish. Tomás de Bhaldraithe (1916-1996) was an Irish language scholar and lexicographer. He was the author of the milestone 'English-Irish Dictionary' published in 1959. 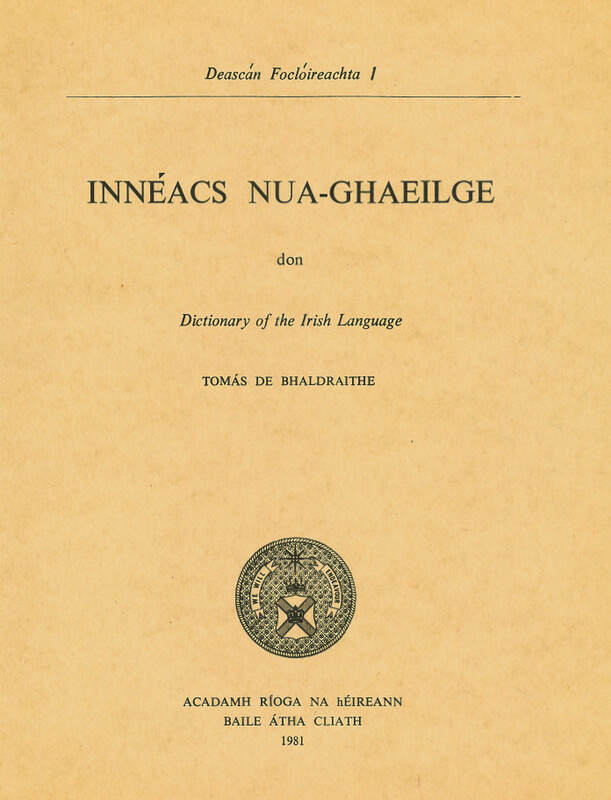 Other works by him published by the Royal Irish Academy include Foirisiún Focal as Gaillimh and Innéacs Nua-Ghaeilge don Dictionary of the Irish Language. Fáilte go dtí blag nua seo Fhoclóir Stairiúil na Gaeilge. Sa chéad mhír seo tabharfaidh muid spléachadh ar stair agus ar chuspóir an tionscnaimh taighde seo, agus caithfidh muid súil fosta ar an scéal is déanaí maidir leis an dul chun cinn atá déanta le deireanas.